On Oct. 1, 1947, Paul Jasper Monroe was lynched at Hangman's Oak. He was a decorated WWII veteran. He was Black. He was also Gay. Despite rumors, no one was ever arrested. 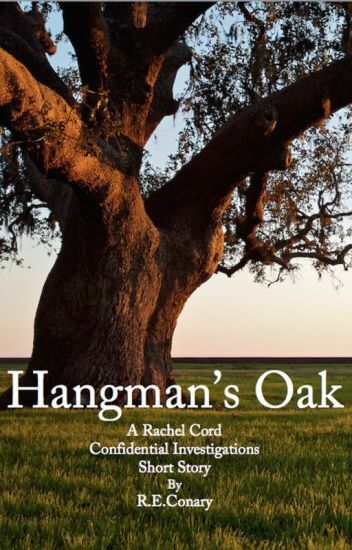 Sixty-eight years later on the anniversary of Monroe's murder, George Armstrong Cutter, often suspected as one of the killers, was found hanging from Hangman's Oak. Revenge or Justice? As the former governor's wife, Helen Binney is used to being in charge. So when illness and two pushy nieces force her to take on a visiting nurse, Helen uses every trick in the book to slip away from the annoying woman. Only someone must have disliked the nurse even more than Helen, because the woman's dead body shows up the next day in Helen's yard! Now it's up to Helen to prove that not only is she perfectly capable of taking care of herself, she's also perfectly capable of solving one cold-blooded murder. Between the nurse's shady past, an elusive "Remote Control Burglar," and an unlikely partnership with a handsome lawyer, Helen finds herself being drawn into the killer's carefully crafted web. The only question is, can Helen survive a little dose of death? When Amy Ridley decided to compete in the Kellerton Summer Festival Pie Contest, the last thing she expected was to find the reigning pie queen, Mandy Jo, dead-a raspberry pie smashed on her face! Mandy Jo made fantastic pies, but she accumulated more enemies than baking trophies. But when Amy receives a note threatening her own life, she decides to do some investigating herself. It seems that half the town has a reason to kill the mean pie queen, and Amy finds herself sifting through a list of suspects that's longer than her list of recipes. Not to mention playing cupid for her love-shy best friend, fending off a baker intent on finding out her prize-winning culinary secrets, and ducking the deadly attentions of Mandy Jo's killer. If Amy doesn't find out who wanted the pie queen dead soon, her own goose may be cooked! "Janel Gradowski creates a deliciously enticing environment in FUDGE BROWNIES & MURDER...has definitely whetted my appetite, both for brownies and more of this fun series!" "PIES & PERIL is the perfect cozy to curl up with in your favorite chair or at the beach while enjoying some sun. It's teeming with a lot of charm and great characters along with many tidbits of delectable goodies perfect for any foodie...sure to please any reader who loves their cozy mysteries!" "Gradowski is a well-oiled machine when it comes to merging attention-grabbing mystery and good old-fashioned storytelling." Sally Parker , her dad died in a mystery murder .. his body keeps disappearing and no one knows who killed him and Why ? Jane has a full life. As Chatelaine of The Hollow, a castle deep in upstate New York, she is kept busy juggling all the normal aspects of managing a large household. The Hollow isn't quite your normal large household though. From celebrities escaping the glare of cameras in the convalescent/rehab wing, to the reclusive residents in six private homes, there are secrets galore inside the castle walls that need to be kept that way. When Countess Madeline de Mornay brings a reality show inside the castle walls, things are not likely to turn out well. Within 24 hours of the cameras starting to roll, a body is discovered in one of the spa's laundry hampers, and Jane and her son, Nick, are the prime suspects. If Jane can't sort things out quickly and get some kind of order back to The Hollow, Jane could be off her rocker for good. An old family letter tells of an ancient family diary that prompts the search for a family legacy across centuries. Devious relatives, assassins, gangsters and a disquieting budding romance between cousins. This story takes place through different periods of family history and present day. Wattpad doesn't really have a category to cover it so I chose adventure. This was posted some time ago as The Letter but has undergone a facelift and a new name. The Case of the Bygone Brother is now complete. After taking over O'Hara & Palzetti, Confidential Investigations from her dad and his partner, Alex O'Hara's bottom line has taken a plunge. So when a femme fatale offers her the case of a lifetime along with a huge advance, Alex sees her finances on a definite upswing. She might even be able to change her diet from ramen noodles to prime rib. But someone doesn't want her to find the long-lost brother. Complicating matters is the return of Alex's old heartthrob, Nick Palzetti. Is he really there just to see her or does he have an ulterior motive? The Lake Michigan resort town of Fair Haven is abuzz with the news that O'Hara & Palzetti are together again. Starving artist Lia Anderson doesn't. Neither do her friends at the Mount Airy Dog Park. Then the violent death of Lia's newly-ex boyfriend brings Detective Peter Dourson onto the scene. Peter penetrates the close-knit group of dog lovers with the help of Viola, the dead man's dog. The more he learns, the more he is convinced that someone is not who they seem. As his investigation uncovers secrets, a grieving Lia fights her growing attraction to the laid-back detective. Meanwhile, a killer hides in plain sight, desperate to stay ahead of the investigation-no matter who has to die. I'll post a new chapter every night. Enjoy!